Peaceman Consulting specializes in issues in safe driving awareness. Are you concerned about your age affecting your ability to drive? Do you know of an aging driver who is at risk of age related safety issues surrounding the operation of a motor vehicle? 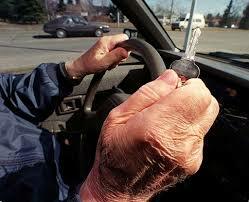 As our population ages, there are more drivers who have an increased safety risk due to age related issues. In Hanging Up the Keys, we will explore in a respectful manner and with concern for the reality of the independence factors in driving for our elders. We explore the physiological changes that may impair the ability to effectively and safely manage a vehicle, and discover local resources to assist in the evaluation of driving ability so as to be assured of driver ability or resources that will help address the difficult decision to finally hang up the keys.